I received complimentary products as a #LeapFrogMom. All opinions are my own. I know that I have mentioned how I am now a LeapFrog Mom Ambassador. I am so excited to be an ambassador for this brand because I have been a HUGE fan for YEARS. 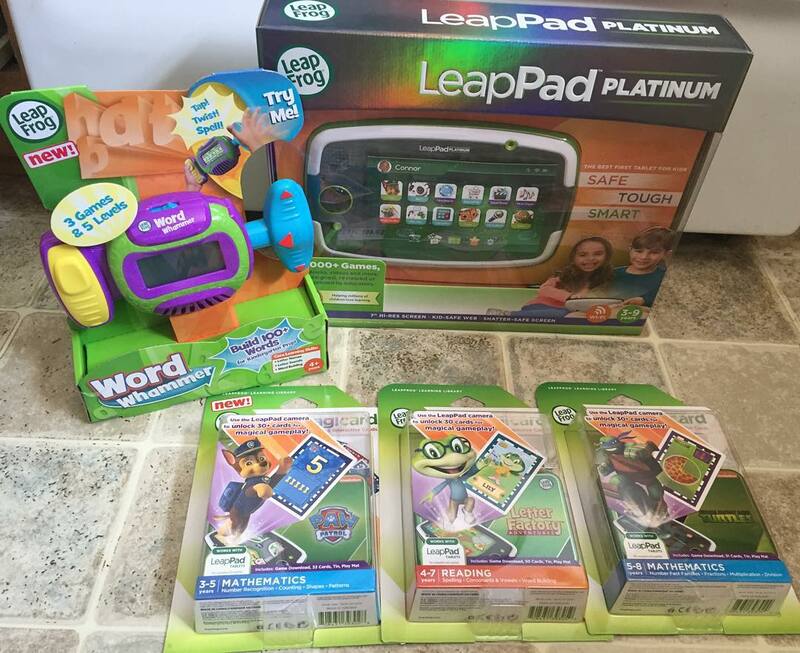 As part of the LeapFrog Mom Squad, we received a ton of awesome goodies, including the LeapPad Platinum and Imagicards. But the first thing my daughter went for was the Word Whammer. You can check out my unboxing video on YouTube. 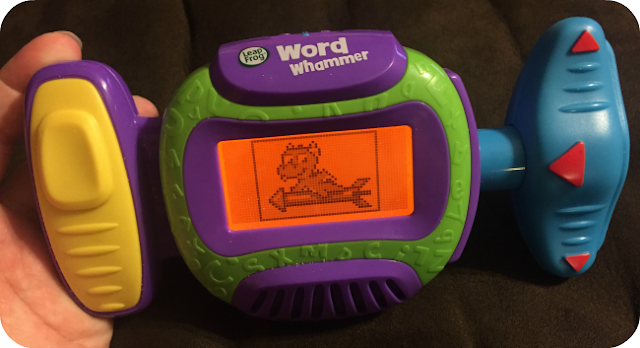 The LeapFrog Word Whammer is a great way to bump an up and coming kindergartener's letter skills up. With 3 action-packed games and 5 learning levels that adapt as children play, the Word Whammer toy gets kids jamming on phonics skills as they spin, push and twist the handles to identify and build words. My daughter's favorite place to play with her Word Whammer? In the car on the way to dance. 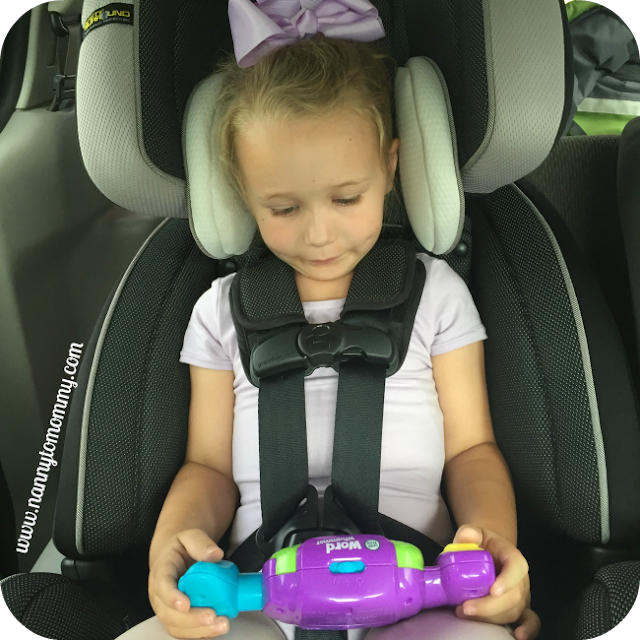 It's about a 30 minute drive and although she has always been a great car rider, it has been wonderful for her to have the Word Whammer because sometimes the ride can get longer with traffic that time of day. My daughter is picking up on how to use this toy very quickly and I really think it is making a difference with her letter sounds. Check out this toy in action! LeapFrog continually creates new and innovative educational learning toys that your children are sure to enjoy. I have been a huge fan of the LeapFrog brand for many years, starting back before I was a nanny when I worked at a day care. Make sure to follow them on Facebook, Twitter, YouTube, Instagram, and Pinterest to stay up to date about new products, plus they always share awesome free printables and fun contests as well! As a LeapFrog Mom Ambassador, I receive products, promotional items and educational material to use and share as I see fit. However, any opinions expressed by me are honest and reflect my actual experience. This post contains affiliate links. This product has been included in our 2015 Holiday Gift Guide. I am fan of LeapFrog products too!! Congrats on being the brand ambassador! :) This gadget looks super cool, i might have to check! Thanks for sharing! Congratulations on being a Leap Frog brand ambassador! These look like fun learning for the little ones. The next little one to come into the family I will have to keep these in mind.